This is the overhead sign that you drive through upon entering Walt Disney World in Orlando, Florida. Ah the memories! I’ve been there several times. 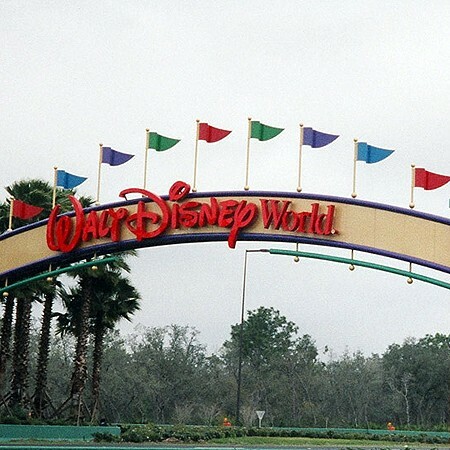 This is the colorful sign and pennants at the entrance to Disney’s Wide World of Sports Complex at Walt Disney World in Orlando, Florida.